All fine artists share a common goal: to combine individual elements into a convincing, cohesive whole that tells a story or expresses an intention. Photography is especially suited to this pursuit because the photographer can create multiple, distinct images of a single subject using a variety of design techniques. The display on a digital camera instantly shows the arrangement of elements in an image, allowing the photographer to make changes and refine their creation as they work. Albrecht Rissler believes that a firm understanding of image design is as important as having an observant eye or having the technical knowledge to operate a camera. 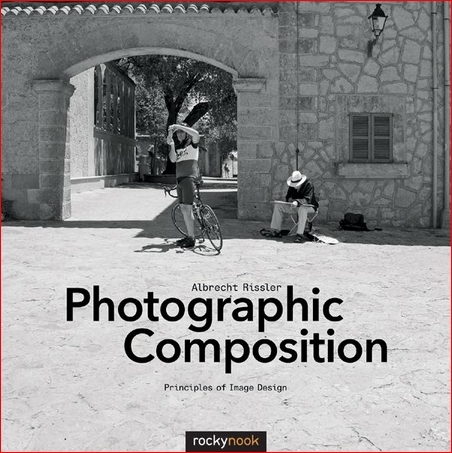 Photographic Composition presents the most important concepts of image design and offers 250 beautiful photographs to illustrate these concepts. By applying these concepts to your own work, you will greatly improve your photographic eye and your ability to compose an ideal image. This book’s impressive images are in black-and-white, intentionally removing the distraction of color and making it easy to focus on compositional elements and form. With this book, photographers as well as all visual artists will learn how to infuse their own images with excitement, develop and hone their visual language, and express their personal artistic aesthetic.